IMDB describes the film as “Biography, Drama, Horror” and then states “a young Jeffrey Dahmer struggles to belong in High School”. These two statements describe the film succinctly. Meyers wrote the script based on the graphic novel of the same title by John Backderf. Backderf was at school with Dahmer. 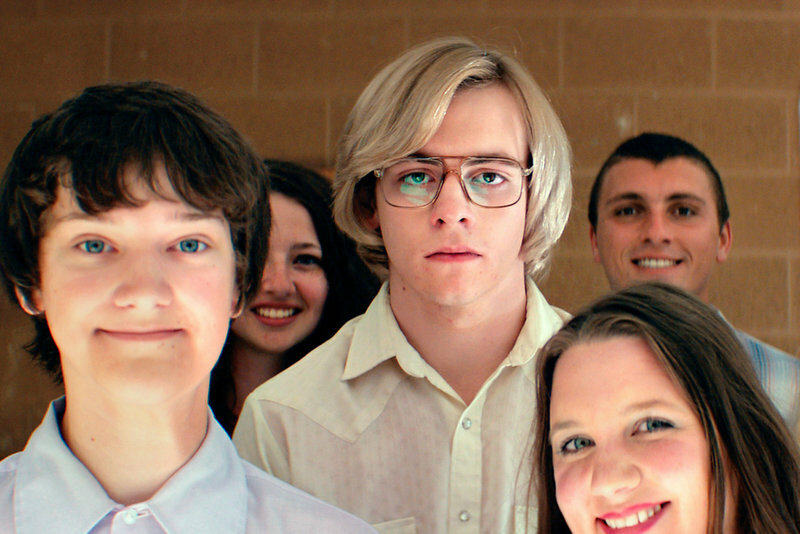 The film does not deal with the activities Dahmer carried out after he left High School. However, his obsessions as a child and as a teenager were unusual to say the least. Inevitably the environment in which he was raised had its own unique, unwholesome flavour. The three principal characters are Dahmer (Ross Lynch), his mother Joyce (Anne Heche) and his father Lionel (Dallas Roberts). Lionel is a somewhat remote figure in the family as he pursued his scientific career at what appears to be a not particularly elevated level. Joyce was employed in some mundane administrative capacity but her chief characteristic is that she is quick to take offence and is argumentative. Jeffrey is a handsome bespectacled youth who has a penchant to kill animals in order to find out what is inside them. Roadkill also appeals to him. He is content to spend time on his own pursuing these “hobbies” even if his father remonstrates with him that he ought to hang out with his contemporaries in more sociable activities. The contemporaries are fairly non-descript and include John (Derf) Backderf (Alex Wolff) who wrote the book. Heche is impressive as the hectoring wife of the rather plodding Lionel whom Roberts depicts as a man of little substance. There is little to celebrate about their marriage. Lynch is impressive as Dahmer as he on the surface looks boringly typical of a high school kid of the period but his absorption in his own world when he conducts his gruesome experiments on dead animals creates a morbid reality. His bewilderment with his classmates when they recoil from looking at decomposing animals marks him out as someone who is out of the ordinary. What makes Lynch so alarming is that his depiction of Jeffrey most of the time is that of a mere misfit; it is his obsession with dead animals which gives an inkling of what he could become. Given the subject matter this is not a film for the faint hearted. However, it confirms the worrying, often common fact that truly evil people may initially appear to be more or less average, if a bit eccentric. He is also quite good looking. On the outside there is very little to tell the monster that Dahmer will become, which only makes the story more interesting.